It is widely accepted by the scientific community that the defaunation or loss of wildlife from robust ecosystems around the world dramatically impacts natural landscapes beyond leading to just the absence of charismatic species from wild places. The decimation of wildlife populations is particularly notable in the developing world, but the implications of the loss of biodiversity are far reaching. In fact, the loss of biodiversity even contributes to climate change. One of the biggest culprits of defaunation is illegal hunting, which is commonly referred to as poaching and it is growing on a global scale and at a frightening pace. Illegal hunting has rendered imperiled species extinct or beyond the capacity of being able to self-preserve without assistance from captive breeding programs or translocation (relocating free –ranging wildlife from one area to another) . In other words, wildlife species are vanishing forever, or they have reached such low levels, they can no longer sustain themselves through natural breeding. While poaching threatens a multitude of endangered and critically endangered wildlife species, it has already rendered some species extinct, while placing others on the brink of extinction. Historically poaching was carried out by loosely organized posses comprised of local people in developing countries and many of these nations are home to an abundance of conservation sensitive species. In fact, many of the biodiversity hot spots on the planet are found in the developing world. In Africa, for example, where poaching was once the illegal trade of local gangs, poaching has largely become an activity coordinated by sophisticated environmental crime syndicates. These organized criminal entities have reached epidemic proportions. The nature of the game has changed. 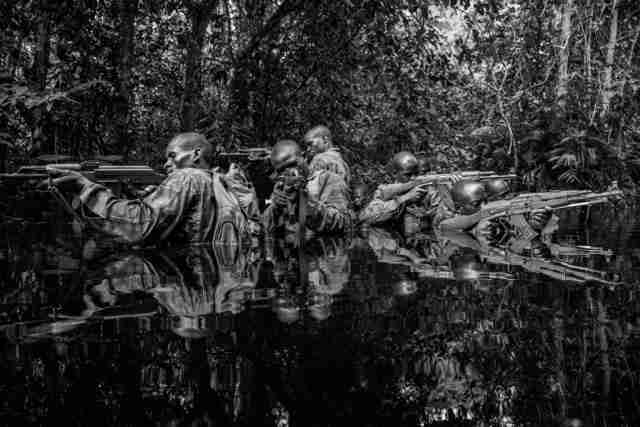 Where anti-poaching units were once comprised of local game wardens and reserve guards, they are now increasingly comprised of elite, highly trained anti-poaching operatives, namely from commandos trained in special operation warfare. The war on poaching has required a new game plan to tackle this new and dangerous game. I was recently afforded an opportunity to interview Nir Kalron CEO of Maisha Consulting, and his communications officer Omer Barak. Maisha Consulting is one of the most esteemed anti-poaching and environmental security firms on the planet. In the interview (below) Nir and Omer offered some insight in to what is at stake for humanity and the animal kingdom from the illegal hunting and trafficking of endangered wildlife. I also asked them to share something about how their highly trained team of intelligence officers, environmental scientists, and security scientists work to stifle the billion dollar industry that not only threatens the planet's natural heritage, but the national security of sovereign democratic nations. Poaching, like other threats to free-ranging wildlife, impacts the ecological services of wild lands from disrupting predator-prey dynamics to decreasing seed dispersal and waste removal (e.g. carrion and excrement). Its impact can be as profound both directly and indirectly on conservation sensitive species. Jordan: Can you talk about the impact of poaching on the environment as you see it on the ground? What might the general public be surprised to learn? Nir: As someone who is in the field in Africa, it is very clear. The impact and great loss of significant mammal diversity in the region is devastating. It is really obvious to me, and notably with regard to elephants and the balance, if you will, that elephants bring to the natural ecosystems. Elephants make trails in the forest, they contribute to seed dispersal and they shape the landscape, etc. There is a general emptiness where you once saw an abundance of wildlife -- now there is nothing. There has to be an impact on the short term, and I mean just a few years time and not at the scale of just hundreds of years. To me that is a serious issue of concern. Deforestation is readily apparent. You see holes in the famous broccoli-- holes in the tropical forests and the loss of primary forests. And things are changing so rapidly just in our lifetime and even the unscientific eye can see that all of this contributes to climate change and that, of course, has its impact. Jordan: When you talk about elephants what comes to mind now that you have spent so much time dedicated to conserving them. Elephants seem to have a profound effect on people, whether you first encounter them in captivity or are fortunate enough to view them in the wild. Where did you first encounter an elephant and have you had any close calls? Nir: Of course, on a personal level, I see the elephant as a magnificent animal species. It has been just amazing to sit with someone like Andrea Turkalo of the Wildlife Conservation Society and one of the foremost experts on forest elephants in a place like Dzanga Bai in the Central African Republic. To learn about elephant language and communication and to observe their behavior in the wild in her presence has been a great privilege. To sit for hours after hours and study their behaviors and to learn about their families has been an amazing experience. For example, to learn about how they treat the living, and how they treat the dead. It has really been a fascinating and enriching experience for me. I have a young daughter. One of her first words in Hebrew was the word elephant (pil) ‫. She sees pictures of elephants in books and views them in action on television. ‫She learned in kindergarten that "pil" means elephant in Hebrew and she points them out on her clothes, her bed linens and over half of her toys. 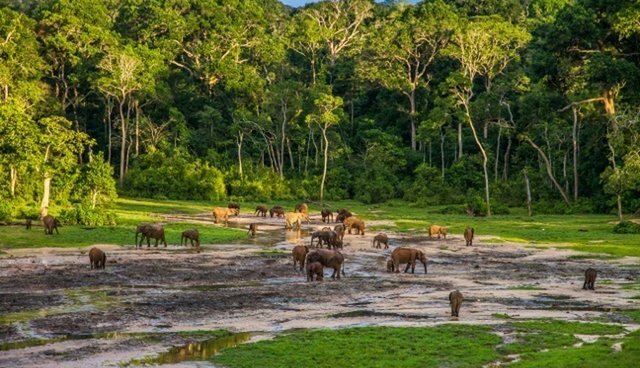 The elephant and large mammals, for that matter, are species that we grow up knowing something about whether it is through direct or remote exposure. Elephants are in the very fabric of our cultures. Although, they may not be local to everyone, everyone around the world knows what an elephant is. It is an animal that is essential to Africa and as sentient beings they are essential to our understanding of humanity. Jordan: I suppose you saw your first elephant in a captive setting somewhere? ‫Nir: Absolutely yes. And there are elephants at the Biblical Zoo in Jerusalem and currently at the Ramat Gan Zoo in Tel Aviv. These were the first elephants I encountered as a young boy. I appreciate the value of the educational work of zoos and they reach a large audience. Specifically, the Ramat Gan Zoo has been very supportive of our work. They have given us access to ivory for our dog sniffing programs, for example. I personally have difficulties seeing caged animals in captive situations, but I do believe zoos do care about conservation of threatened and endangered species. ‫And in regard to my first encounter with an elephant in the wild, well, it was in Kenya where the David Sheldrick Trust operates a rehabilitation and release program for orphaned elephants. It is in Ithumba, specifically. I had the experience of working with their elephant caregivers through the Kenya Wildlife Service and my dear friend and mentor Dr. Bill Clark, a well known conservationist. I saw juveniles who had returned to visit their caregivers. I've also had more dangerous encounters. Recently, an elephant almost killed me. He charged me while I was installing equipment for his protection, but no hard feelings. ‫Jordan: A common perception of poaching in developing countries is that it is conducted predominantly by members of local communities who have loosely assembled to commit environmental crimes on a fairly small scale to compensate for impoverished economic conditions in developing regions of the world. This is not the case. 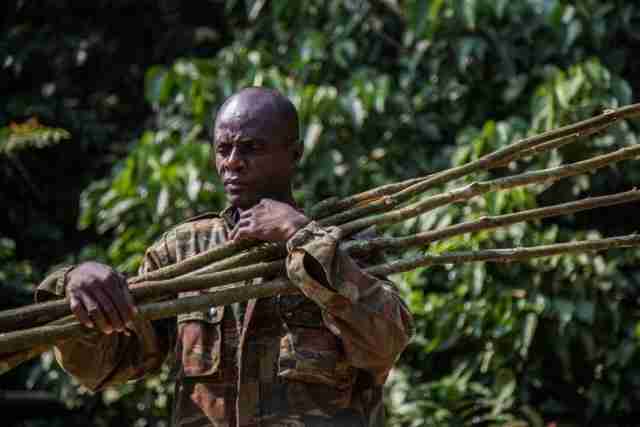 Today's, poachers are largely, skilled operatives. These people work under the auspices of sophisticated terrorist organizations. ‫You employ commandos along with environmental science experts and other specialists, correct? Can you tell us about your team? I mean in some ways you could even draw parallels between elephant societies and special operations forces, right? ‫ Nir: Yes, the matriarchal elephant societies can be compared to an ancient clan, where everyone protects each other and there are clear responsibilities designated among elders (adults) and juveniles in the clan. And much like a special operations unit, elephant families are like a fine tuned machine. You can actually observe how the herds essentially deploy their sentries to fulfill certain needs. The teenagers plus, what we consider subadults, are on the flanks in the context of the team looking for trouble. In some ways they are the ones conducting reconnaissance. I would add that elephants don't try to be heroes either. Of course, they are conscious of such a construct anyway, but like any special operations unit, the goal is to survive and it is teamwork that makes that possible. It is about security and survival. ‫Jordan: It seems as of late, that some people are trying to capitalize on the growing popularity of commandos doing conservation work. Some have sensationalized something that is not really meant for reality TV genres. Your work is about saving imperiled species on the brink of extinction. What are your thoughts about this? You didn't set out to be a conservation hero per se. In part, this is because security is comprised when you gain too much public acclaim and also because you are a pretty humble guy. ‫Nir: The issue of the ivory trade and poaching has made big news and has given us headlines whether we want it or not. There is a growing trend whereby people try to promote themselves or their work before they actually earn their proverbial stripes in the field. People have asked us to carry cameras and bring film crews along, for example. Honestly, we have declined several opportunities to be on film. It is not our agenda. ‫In fact, I've done one documentary film and the trailer you share below is for a smaller piece, which will air in the US on the 28th. The first documentary I just alluded to features Andrea Turkalo and I am simply a character in that film. It was produced by the Lost Bird Project, which has demonstrated a sincere professional ethic in making the film. From the outset, they have prioritized conservation. I was not looking for film credits that would contribute to our internal sanctum and show our capabilities and perhaps make our company famous. I'm against that. It is not who we are. I was a Special Forces operative many years ago although I'm still in the reserves. I have maintained those skills, but today we do different things. Our targets have changed and nature of our work has evolved. We have developed an entirely unique system of conservation security and we have lots of conservation projects under our belt. It is a whole discipline, what we do. ‫In general, we need as many navy seal types as we can get. I'd like to have more people doing what we do on the ground. We are not here to showboat muscular guys with a sniper rifles; We are team oriented. We have intelligence operatives, analysts, special operations' personnel. I've got a group of about 10 people here. It is not just me and some guys with guns ‫Jordan: So what are the challenges you face and what are some of the concerns regarding your work from the international community? ‫Nir: What we get is concern over militarization of the environment sector or the national parks. People have indirectly criticized us. And at a recent conference in the EU, I had absorbed some of that criticism. My response to the suggestion that we created this notion of "militarization" was showing them a picture of the Seleka rebels in Land Cruisers, toting recoilless weaponry, sniper rifles and machine guns while sitting in a national park. I said to them that we didn't invite these guys. They came in and militarized the park, themselves. We came in to respond to that--to safeguard the wildlife in the park. ‫Our Company is not just comprised of former special operations teams and intelligence operatives. We have conservationists and security specialists on staff. The profile of the company is such that it enables us to work in places such as Kenya where we are needed to teach very high level counter terrorism tactics work. The Kenyans have to deal with Somalis coming across the border shooting everything that moves and now attacking major city centers. 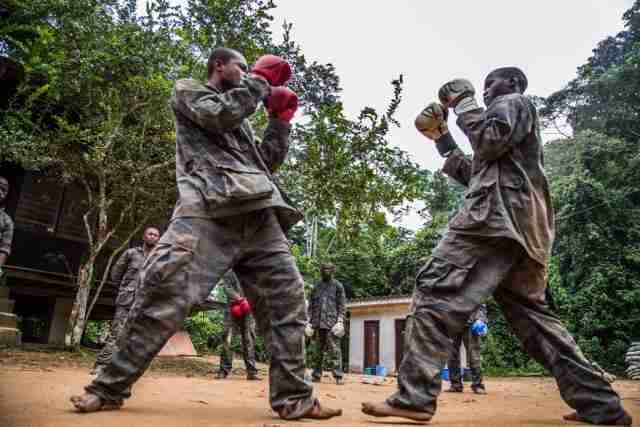 But we also teach people basic law enforcement in places such as the Congo or the Central African Republic. We teach local law enforcement how to make an arrest, conduct non-lethal patrols and monitor their parks, etc. Our work differs from park to park and from area to area. ‫The other criticism or concern that some of the "Security" specialists are facing is the fact they are getting a "quick fix" of publicity at the expense of conservationists, scientists and the like. Unfortunately and it is not the fault of dedicated scientists and researchers, but things have failed and are failing. We have a relatively high success rate, however. But how do you really measure the success? One metric is to determine how many elephants are alive. How many rhinos or pangolins are alive, etc. and the reality is that finding that data is not so easy. ‫When people wearing bold tattoos, flaunting musculature go out and make a big show about it, the criticism is, perhaps, warranted. Reality TV shows about this stuff really upsets people, especially those who come from a totally different background, but have been in the bush for years as doing work as dedicated and passionate conservation scientists. They don't get that publicity and they are the ones who really deserve it. ‫The other point is that you can't make a film and keep working under cover. I stopped doing a lot of the undercover work myself. I brief people and send them out. Not only is there a security aspect here, and I have breached it to some extent at times, but there is a credibility issue. Unfortunately and contrary to myself and my team's past professional lives, one has to get some public attention to keep the operation going in many respects. We need to continue to keep developing credible information, technology and tactics to be successful. This is of course in regards to funding, or reporting results, but we need to credit our partners like WCS, WWF, AWF, etc. We can't and do not take the recognition that should be given to them, the people behind the management of difficult landscapes, funding mechanisms and science. They are the ones hiring us. We trust them and we work well together. ‫ Jordan: What are we up against with regard to perpetrators of these wildlife crimes? ‫ Nir: All the cliches have been said. From organized crime, to use of helicopters, night vision goggles, etc. The bottom line is that this is a counter measure warfare- it has been that way for a long time. It is measure--counter measure. If you up the stakes and motivate the enemy to come back more sophisticated you perpetuate the cycle. But then I ask myself if I don't do anything then what? It is going to be a clean house in just a few years. Will we loose all the forest elephants. ‫In some places in Africa, people are still poaching single elephants with a bow and arrow, and they largely go unnoticed and uninterrupted in the forests as they prey on these creatures. They may use a poison dart or shotgun. They pack the ivory and they are finished.... Some areas they are using MI17's (Russian Helicopters), Dragunov sniper rifles inside the helicopters and shooting 10 to 20 elephants at a time. In some places they are putting cyanide in the water and killing 80 elephants at a time. It really differs within a park and within a region. As I said, it is different from place to place. And it is dependent on opportunity and what the trafficking world encounters in terms of security. ‫Trafficking is what these people are really good at. They are smart at researching the security fronts. For example, they may find security to be really tight in East Africa and so a window opens for them to go and take elephants in Zimbabwe for instance where they may have "smelled" a breach or they choose to pursue it as the time is deemed appropriate. There is more than one group working an area; they may cooperate together and network together, for example in East Africa. They have got a poacher, buyer, driver, middle man from South Africa all the way up to Uganda and they are all friends and they all talk to each other. And they, at times, may be from the same ethnic groups. There is not just one Dr. Evil. There are a few Dr. Evils. ‫It is like the war on drugs in the US. It used to be small planes and speed boats in the Florida Keys and flashy Pablo Escobars with huge houses for show and now it is subamarines in Baja and drug lords hiding in safe houses undergoing plastic surgery to keep their identities secret. We just have to keep up with them and be one step ahead of them. Again, it is measure, counter measure. ‫Jordan: How do you learn to be so versatile in dealing with so many different cultures and even learn how to navigate different landscapes. ‫Nir: The topography is an issue that we deal with gradually. 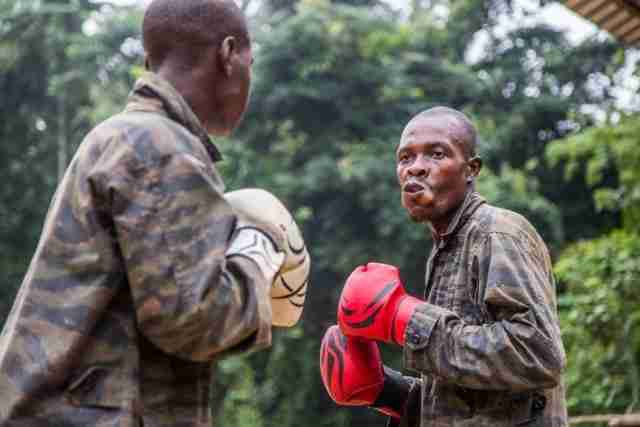 I didn't have specific training in a tropical rainforest, myself, for example, before first coming to Africa to do this work. As a commando, I trained primarily through exposure to different landscapes in the Middle East. We don't really have to worry so much about physical adaptation or acclimation to a given area, atmosphere or environment. 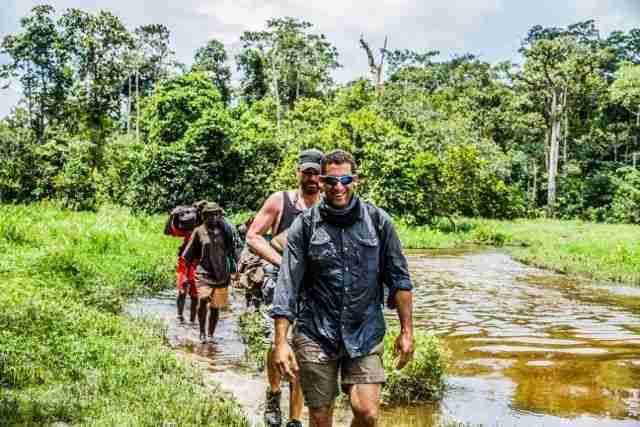 After a few trips to the forest with the pygmies, for example, you learn what you need to know about how to navigate through your surroundings. ‫What we do consider as more of a challenge is how to blend in to cultures. My team maintains a great degree of modesty and we treat anyone we work with respectfully. We are very pragmatic in how we engage with people of specific backgrounds and cultures. We tend to be light and flexible in dealing with indigenous people or just those from different backgrounds. It is about having life experiences, whether they are Israelis, French or American. It is that kind of diversity in exposure to different people and places that help us blend in to so many cultural environments. And we hope to get some more Americans working for us as well. Jordan: What is next for Maisha Consulting? Omer: We need a game-changer, an overwhelming force to turn the tide and this lies in the promise of technology. Maisha, based on its wildlife protection experience and military technological skills has developed and is now introducing an unprecedented tailor-made surveillance system, which once deployed quickly and in large enough numbers will greatly impact the fight we are in. The "snap trap" system is camouflaged, redundant and self sustained, but most of all it is embedded with Maisha's extensive know how in order to detect audio, visual, thermal and coms evidence of human threats to wildlife. Technological supremacy has won many wars,and can and should be applied quickly to win this one. Secondly, I would refer to our efforts to employ dogs in trafficking hotspots, such as border crossings and air and sea ports. Recently a plan to spend 6 million dollars on two container scanners in Uganda's Malaba and Busia border crossings (with Kenya) was announced. This measure is of course welcomed but a cheaper and not necessarily less efficient means is employing sniffer dogs in this border crossing and other hot spots. We have reached out to our partners in Uganda, to name one example, in order to allocate funding for this, after recent success stories we've had in this field in other countries. The response we got was very positive and we hope to see our trained dogs in places like Entebbe International Airport soon. Our experience shows that both of the above methods, innovative technology and K9 training, while being less costly than some of the more sophisticated methods that are being introduced have a rapid and widely deterring effect on poachers and their facilitators. 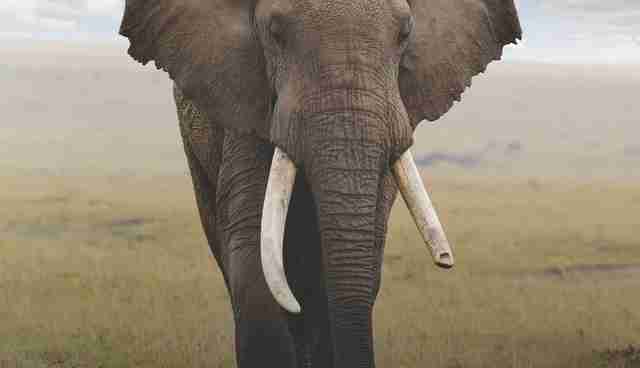 Earth Focus: Illicit Ivory uncovers the devastating effects of the international illegal ivory trade, its impact on the dwindling African elephant population, and the link to insurgency groups and organized crime. Earth Focus: Illicit Ivory (TV Movie 2015) photos, including production stills, premiere photos and other event photos, publicity photos, behind-the-scenes, and more. On May 28th 2015 "Illicit Ivory" airs on select US networks. The Illicit Ivory broadcast special edition of EARTH FOCUS will premiere on Wednesday, May 27 on KCET (Southern California) at 8:30 p.m. PT and nationwide on Thursday, May 28 at 9 p.m. PT/ET on Link TV (DirecTV channel 375 and DISH Network channel 9410).